provide insights into the nature of the benefit programs. The report is presented as “facing pages,” which allows the comparison of like data between pages; it can also be viewed as a single-page full screen in the View > Page display settings in the PDF software or by clicking any bookmark on the left. When opening the PDF in the Acrobat Reader software, bookmarks are visible to the left. These bookmarks allow quick access to major sections of the document. The table of contents contains clickable links to each sub-section or table in the document. View prior years' VBA Annual Benefits Reports (Archive). Our nation's Veterans, their families and survivors deserve the best in benefits and health care. VBA's annual Performance and Accountability Reports outline our performance targets and detail our results by program for the most recent fiscal year. This annual report card provides Veterans and the American people with information on how well VBA has done in processing claims, the impact of the benefits VBA provides, and the strategy we're following to achieve and maintain excellence. 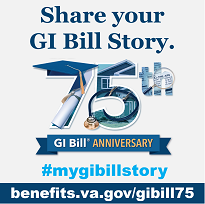 Information is provided on the six VBA benefits programs: Compensation, Pension, Education, Vocational Rehabilitation and Employment, Loan Guaranty, and Insurance. Please note: In fiscal year 2015, VA transitioned the content of the VBA Performance and Accountability Report to the VA Agency Financial Report. The VA Agency Financial Reports can be found here. View prior years' Performance and Accountability Reports (Archive).